This post contains affiliate links. Thanks for supporting my blog and my family! 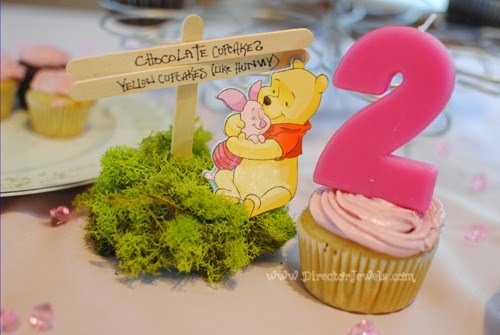 For Addie's second birthday (back in November...mom blogger fail), we had an adorable Tea for "2" with Winnie the Pooh theme. 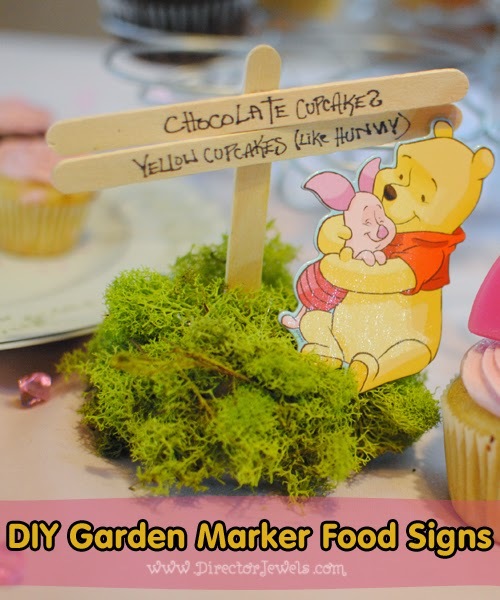 I have so many pictures still to share, but am excited to give you a peek at one of the DIY birthday party projects I put together for this theme: Garden Marker Food Signs featuring Winnie the Pooh and friends! This was a pretty last-minute addition to the party table, but I think they turned out SO cute. 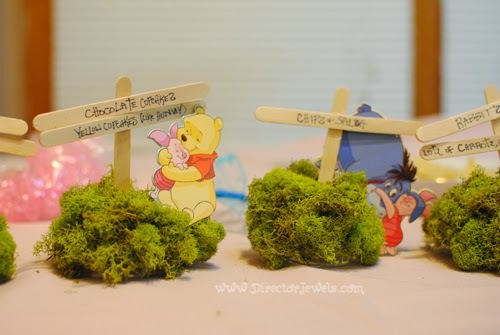 You could make these for any party theme that features a garden - with or without characters, they're pretty adorable. 1. 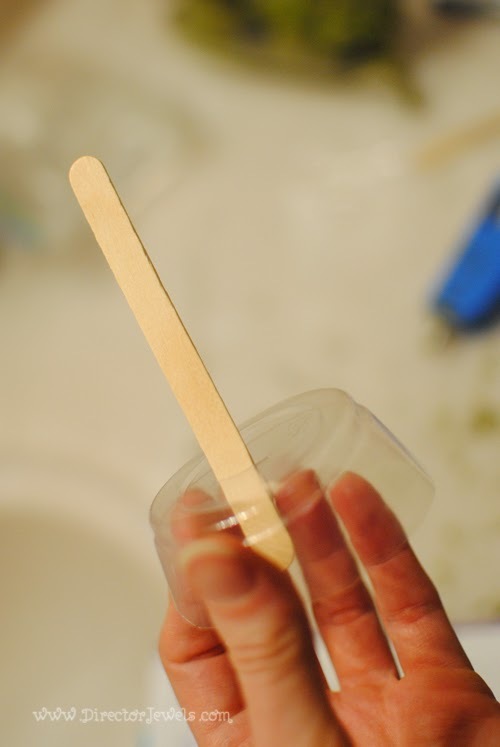 Use knife to slice off the base of the cup, then slice a hole in the bottom to put the sign in. The straighter you cut the cup, the easier it will sit on your party table. 2. 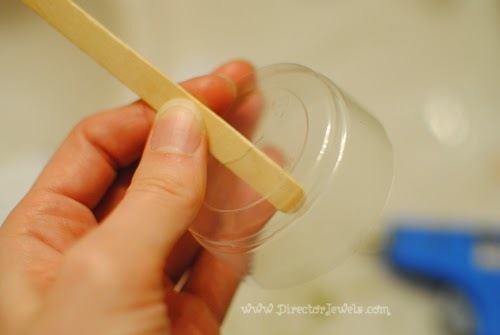 Insert one craft stick into the hole. 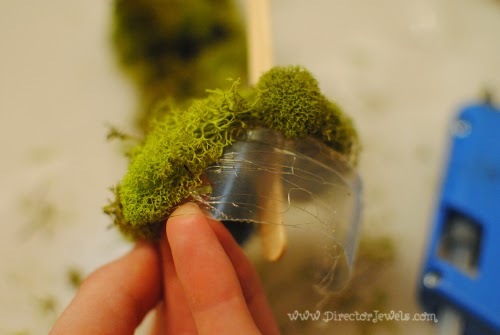 Add some hot glue to keep it from sliding. 3. 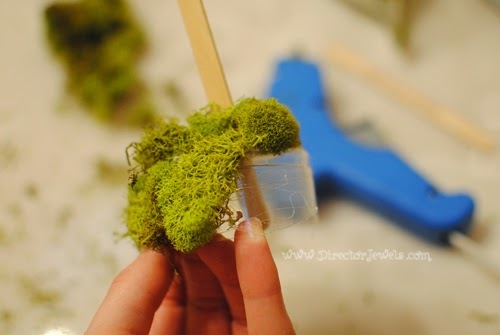 Add moss with hot glue. This is definitely the most time consuming part, and it's somewhat messy. 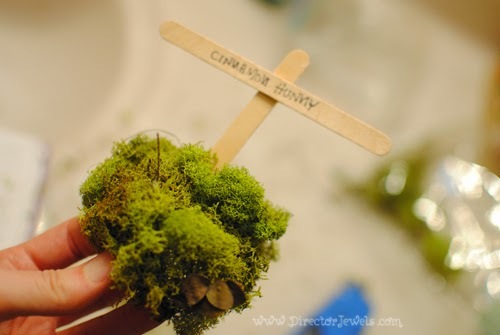 I was finding moss scattered through my house for days after this party. 4. 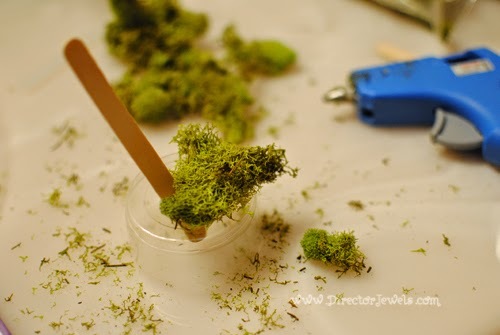 Add a dot of hot glue to another craft stick and attach to the base. I made mine all a little bit crooked, because it fit the theme of my party. Hint: it's easier to write the food titles BEFORE gluing the sign pieces together. 5. 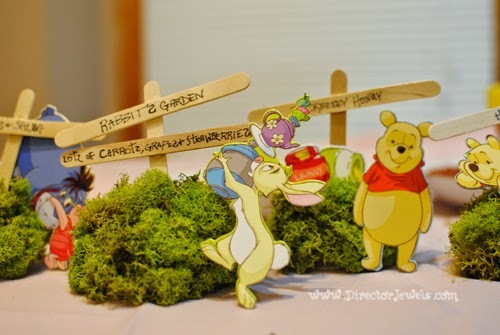 Add your characters or other embellishments, using hot glue. 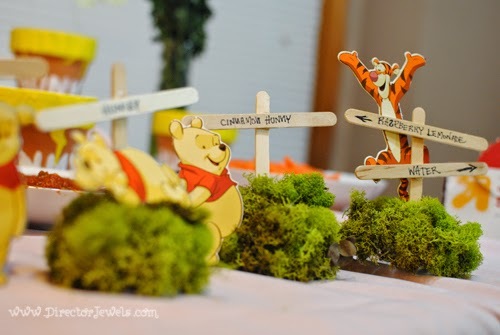 These signs ended up being one of the cutest elements of Addie's party! 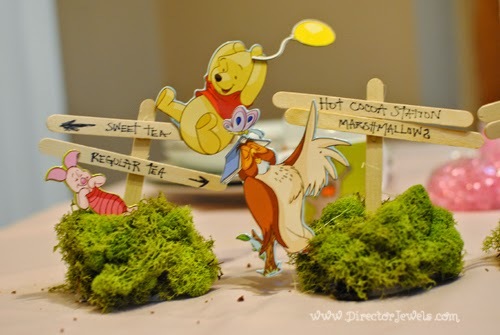 Not a fan of Pooh? How would you use these decorations?